Tata Communications delivers over 25 percent of the world's internet routes. And Tata Communications' subsidiary Tata Communications Transformation Services (TCTS) has created a Virtual Cloud Exchange (VCX) to help Tier 2 and Tier 3 service providers connect to public clouds. 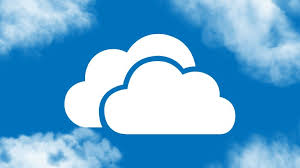 Vineet Anshuman, head of global client partner transformation services with TCTS, said the platform was created to help Tier 2 and Tier 3 service providers connect with major public cloud providers such as Microsoft Azure and Google. He said the Tier 1s "had the right skill set" to connect to public cloud providers, and that process has gone relatively easily. "Tier 2 and Tier 3 is a different ballgame," said Anshuman. "They don't have a lot of the right investments. They were struggling to create this connectivity. They asked Tata. We understand the telco market very well."